The identity of the man found along Silver Strand Highway on November 26 has been released. Police identified previous Imperial Beach resident Adrian Zepeda as the 47-year old man whose body was found with suspicious injuries. The Medical Examiner’s Office has not yet released the autopsy report determining official cause of death. 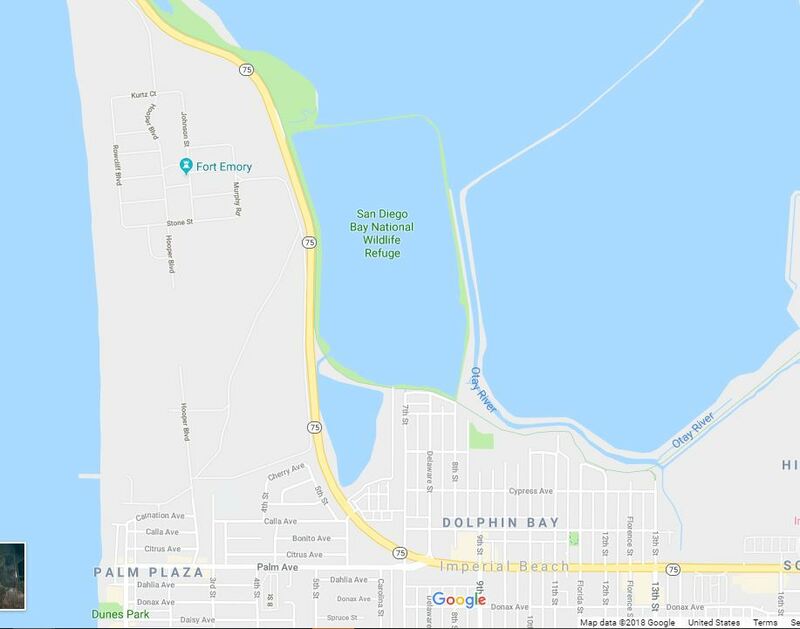 Coronado Police are investigating the death of a 47-year old man found yesterday afternoon near the bike path northbound Silver Strand Highway just south of the bird sanctuary. At approximately 1:30 pm, pedestrians on the bike path noticed a man’s body near some bushes and called 911. Officers arrived on scene and determined that the man had sustained injuries to the upper body that were suspicious. The San Diego County Medical Examiner’s Office will conduct an autopsy in order to determine the victim’s cause and manner of death. The victim’s name is being withheld pending family notification. There is no additional information being released at this time. If anyone has any information, please call Coronado Police Department at (619) 522-7350. Coronado Police were called Monday afternoon when a man’s body was discovered in the vegetation along Silver Strand Boulevard between Coronado and Imperial Beach. According to Lea Corbin, CPD spokesperson, “the body was found just north of city limits bayside” in the area on the east between the Bayshore Bikeway bike path and the bay. Around 6pm, Caltrans closed the right lane northbound on Silver Strand Boulevard (SR-75) from Rainbow Drive in Imperial Beach to Hooper Boulevard. San Diego County Sheriff’s department homicide detectives are investigating.